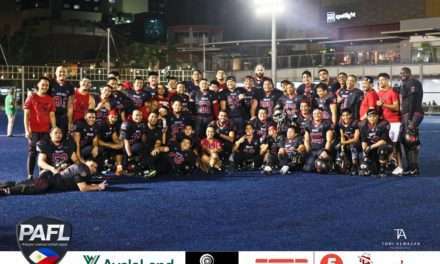 NFL season has already started in the U.S. and the Philippines has its own version – The Philippine American Football League, better known as PAFL. 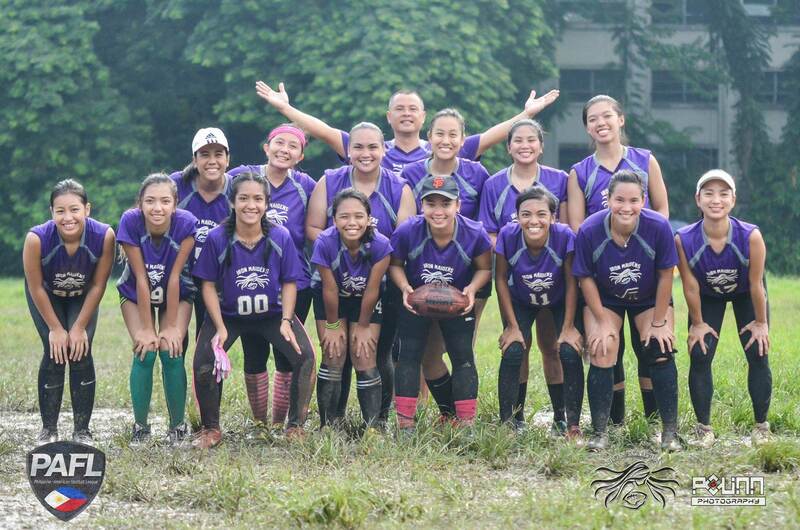 But did you know that American Football is not just a man’s sport? 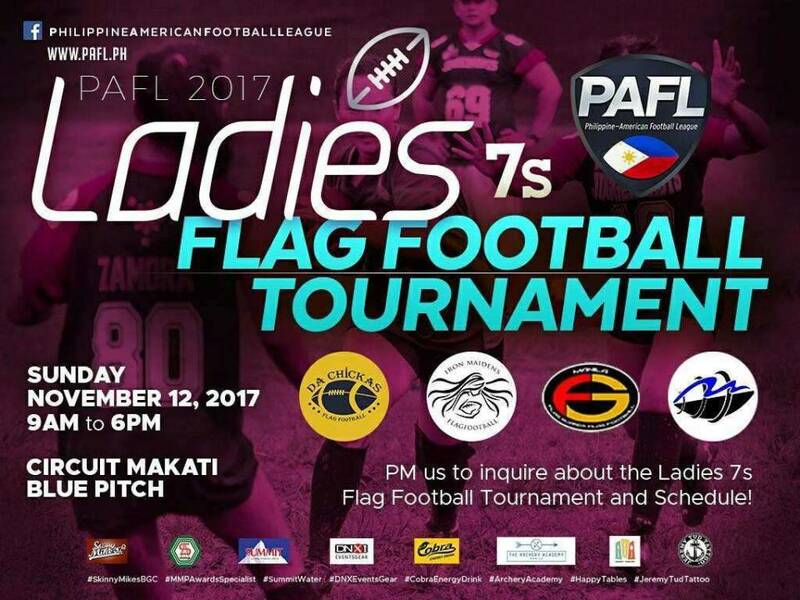 PAFL has a women’s division for flag football. Flag football has less contact than Tackle football but offers the same amount of fun and excitement to players and spectators alike. It can be played co-ed or exclusively for males/females only. 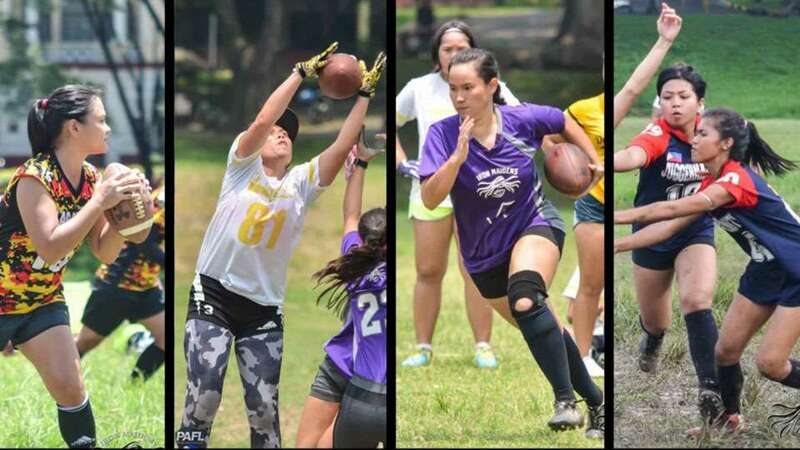 A solid evidence of women’s growing presence in the sport, the first ever Women’s Passing League tournament was held last June 2017 at the UP Sunken Garden. 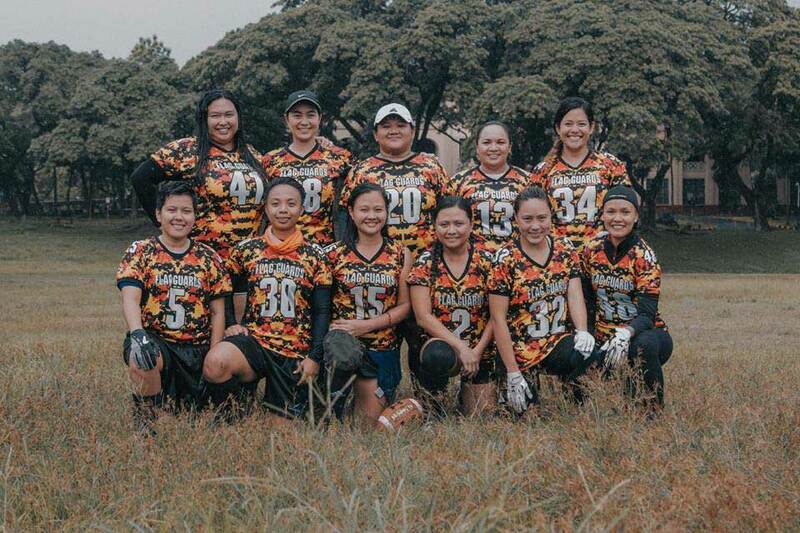 The teams who participated were the Iron Maidens, Juggerbelles, Flag Guards Vixens, Da Chickas Bagets, and Da Chickas Titas. Not only are these ladies football fans, but they also showcase the same intensity on the field as our tackle football players. Composed of both vets and newbies, Team DC had to split the team into two for the last tournament. DC Titas was the previous tournament’s 1st runner-up. This time around, the team is set to merge these two teams in order to win. I started playing around 2005/2006. I’ve been playing on and off since then. 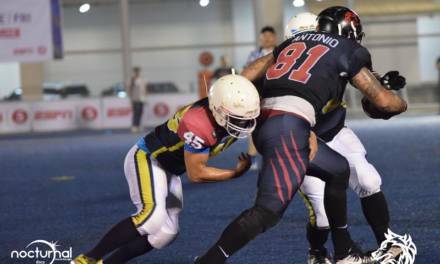 How did you know about American Football? It was introduced to me by a friend back in college. I was hooked ever since. Can you give a brief description the position/s that you play? The quarterback calls the plays in the huddle and throws the ball to an eligible receiver. How do you prepare for your tournament? My team is fortunate enough to be trained by the skilled and experienced players of Datu and Wolves, namely Aaron Velasquez, Wewe Alvero, Toots Vergara, Ian Lim, Nico Sy, and Martin Antonio. They give us position specific drills to do. I also workout and visualize how I’d perform during a tournament. Do you see yourself playing tackle football in the future? My doctor told me not to. Haha! Should women’s tackle happen in the future and my doctor gives me a go signal, I’m game. No team in particular. I just love watching when I get a chance. 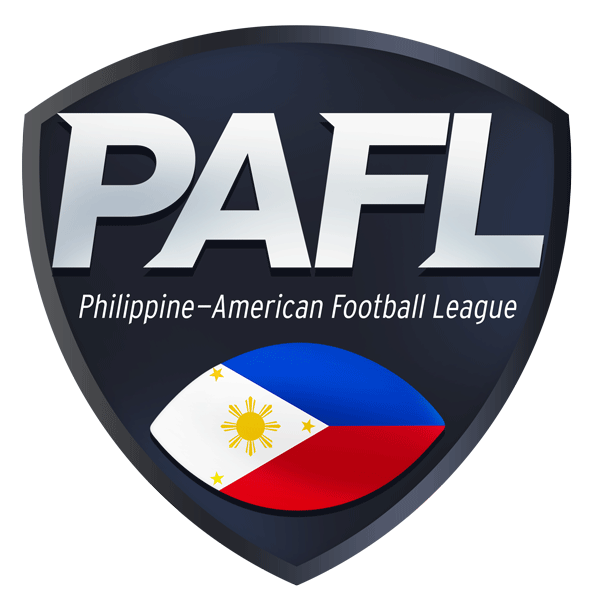 Which PAFL Team do you support? Which teams would you want to see in the finals? I started playing Feb 2015. I talked to a random girl looking for sports apparel in a store. She said she plays football. I asked if I can join and she said yes! So I went to UP not knowing anyone or anything about football, I even thought it was soccer! Ever since it’s been #ballislife for me! When I’m on offense, I’m a wide receiver (WR). As a WR, my job is to catch the ball especially the long passes/bombs and score a touchdown. When I’m on defense, I play different positions (DB/MLB/Safety) depending on the need. In the defense, no matter the position, my job is to stop the receivers from catching the ball by deflecting or intercepting it. If I can’t-do that, deflag the receiver so she can stop advancing the ball to score a touchdown. I train with the team every Sunday in UP, rain or shine. I also join UST’s flag team training when I have time. Not keen but if the training is good and there is proper equipment, I might. I’m so small, I’m not sure if I can take the hits. Baka lumipad ako hanggang end zone dahil sa impact ng tackle! Lol. Pats? Since I know Tom Brady because he’s the husband of Gisselle, the supermodel. Peace Pats’ fans! No, I’m not supporting any NFL Team. The Flag Guard Vixens are one of the strongest contenders of the league. 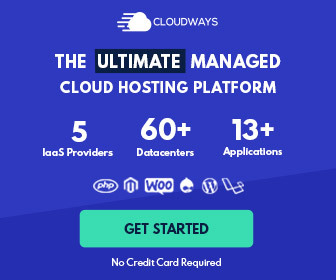 With their experienced players, they are a team to look out for. The team holds regular training so that they can get the win this upcoming tournament. Back when I was in grade school, I studied in LA. Most of my friends and relatives were into Sunday Night Football. Can you give a brief description of the position/s you play? If we are going with a girl line up I usually play the center position. As center, I snap the ball to the QB. I also assume the position of tight end to either block on the line or run a route. I play D line when the opposing team uses an all girl O line or when we need a girl to rush the quarterback. I try to hydrate and get as much rest the week prior to the tournament. On the day of the tournament, I do a lot of stretching and catching drills. All of them – I haven’t really watched all teams play yet and besides, most of the players from flag whom I know play for different teams so I support them all. 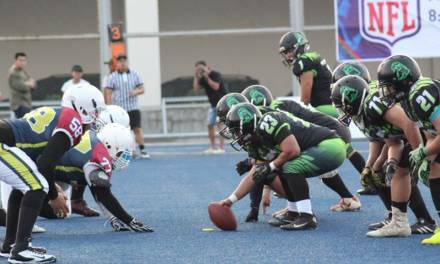 Which PAFL teams would you want to see in the finals? Got some insights. Wolves may be one. As for their opponent, hmmm… can’t really tell. My dad is a fan. I learned about flag football thru a friend who played ultimate frisbee. I asked her if she knows of any other team sport I can join that is not ultimate. It’s not always about speed or height. It’s also about precision and accuracy when running the routes given to you, or reading your opponents and using your team’s chemistry in finding ways to counter their moves. Knowing the basics is important, as well as having presence of mind. We try to hold regular training as a team. I try to work out on weekdays. Of course, after training and working out, we drink. I’m open to it. Why not, right? Patriots, Packers, Broncos are my dad’s top 3 teams. Does FG Vixens count? No specific team because I support all teams for their contribution to the sport and the community. This young team consists mostly of college students. Despite this, the Iron Maidens proved their teamwork when they became the champion of the Women’s Passing League. They are more than ready to defend their title. My brother asked me to join his team back when I was in high school. I had no idea what football was back then, but when I started playing, I eventually learned to love the sport. Definitely. I really wanna try it out if given a chance. I’m not really into the NFL anymore. Hopefully the Wolves and probably Datu. I started playing when I was little with my brother. We were each other’s playmates and that’s how I first learned how to catch and throw a football. I grew up in the Chicago so American Football was a big part of my childhood and of the community there. Center is the one who is in charge of snapping the football to the quarterback (QB) and also blocks off defenders trying to tackle the QB. Tight end would be the player that has the ability to be a blocker and/or a receiver depending on the play. Through proper conditioning and making sure I attend all the training session I can. While keeping your fitness in check, it’s important to also train as a team cause it’s a team sport. Chemistry with each other is important during game day. Probably not as actively. HAHAHA I’d like to save myself from getting injured. But I’d like to try playing it! Team M has yet to make a comeback. This league will be their first year in the PAFL. 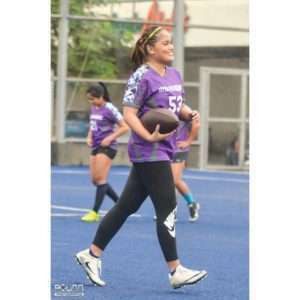 The team consists of vets who are pioneers of flag football in the Philippines. Surely, they will come back stronger in order to get that win. I used to see it on TV. Then Marga asked me to try it out. AF [American Football] is very strategic. It demands a lot of mental, as much as physical, stamina. The QB is in charge of orchestrating the most optimal play given current scenarios. Right now, a lot of us haven’t played in a decade. So it’s pretty much getting back into shape and scraping off the rust haha. There were a lot of the boys that played flag and started playing in the PAFL. Back then it was just 1 team. Now they’ve spread out. Will definitely still root for them [all]. Rain or shine, these ladies are down to play. 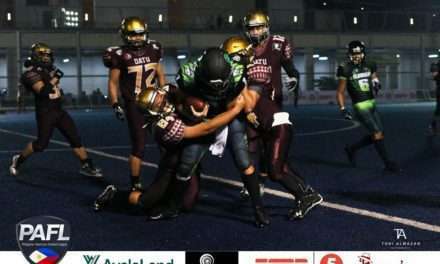 They have proven that football is a sport that does not discriminate – and to show everyone that they too can make those catches and touchdowns. 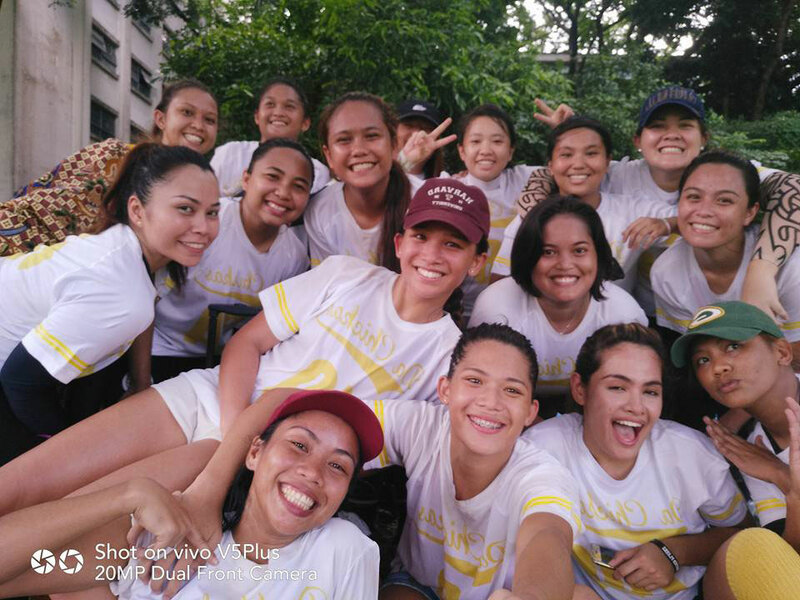 Catch DC, FG Vixens, Iron Maidens, and Team M on November 12 (9:00 am to 6:00 pm) at Circuit Makati Blue Pitch as they battle it out to win the championship.